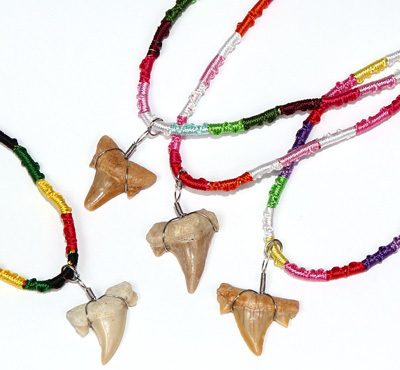 Braided rayon necklace with real fossilized otodus sharks tooth pendant. Adjustable tie on sizing in assorted colors. Come on shark tooth hang cards.